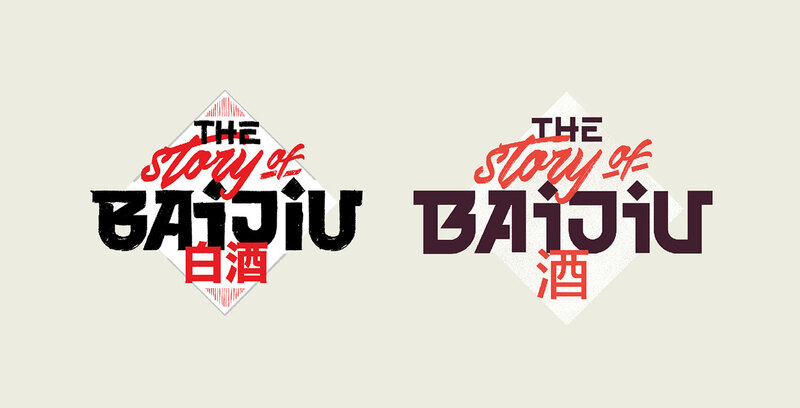 Série de ilustrações feitas para sessão The Story of Baijiu do site DrinkBaijiu, da destilaria chinesa MingRiver. 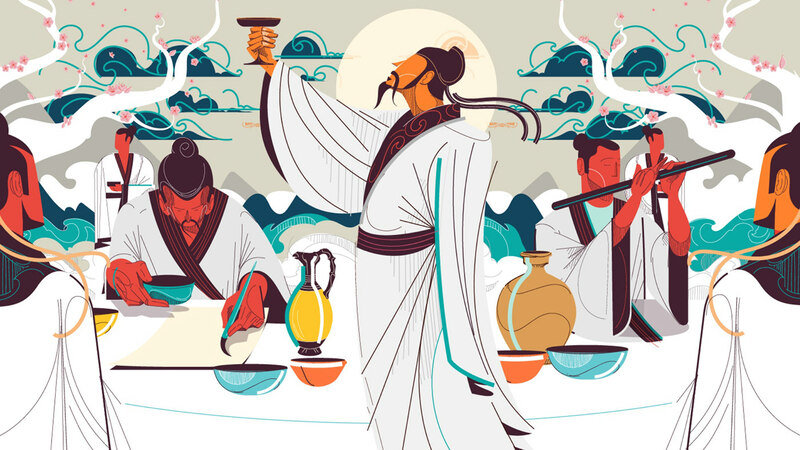 Baijiu é uma bebida alcoólica tradicional da China, a evolução e aprimoramento dela vem desde de a era medieval, o site é dedicado a contar essa história para o Ocidente. 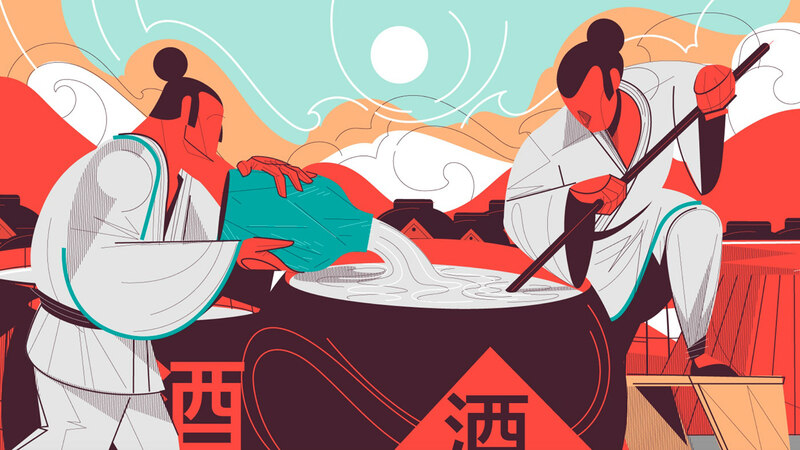 A produção das ilustrações foi pautada na rica pesquisa histórica entorno do assunto realizada por Derek Sandhaus diretor de educação e especialista na categoria Baijiu da MingRiver, também é autor do livro “Baijiu: The Essential Guide to Chinese Spirits”. 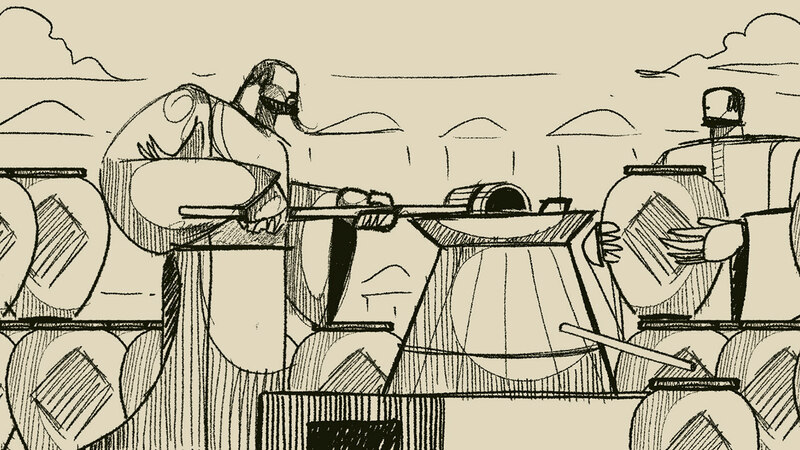 Abaixo mostro o resultado final de cada uma, desde o primeiro esboço, shapes vetoriais e principais detalhes. 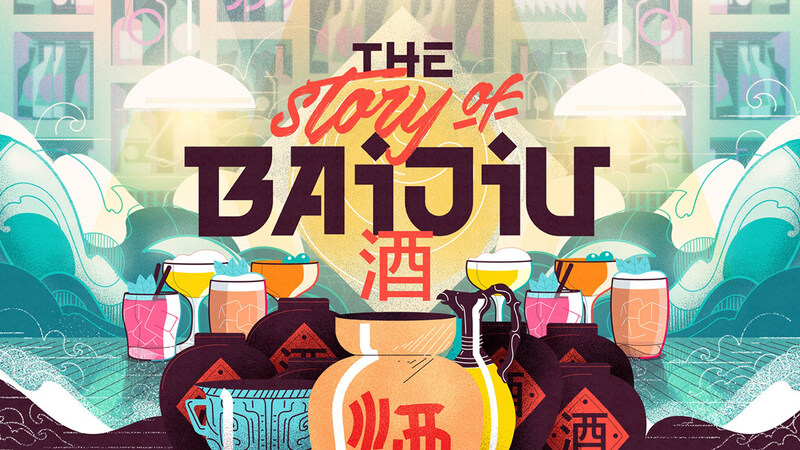 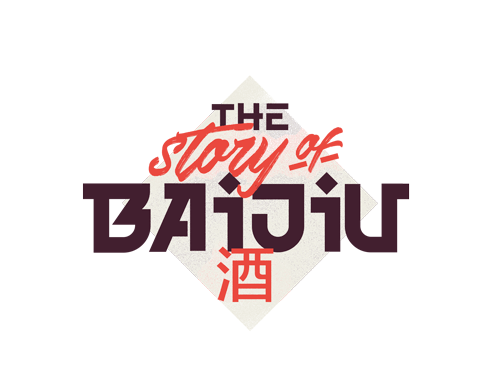 Series of illustrations made for the session The Story of Baijiu of the site DrinkBaijiu, from the Chinese distillery MingRiver Baijiu is a traditional alcoholic drink from China, the evolution and enhancement of it comes from the medieval era, the website is dedicated to tell this story for the West. 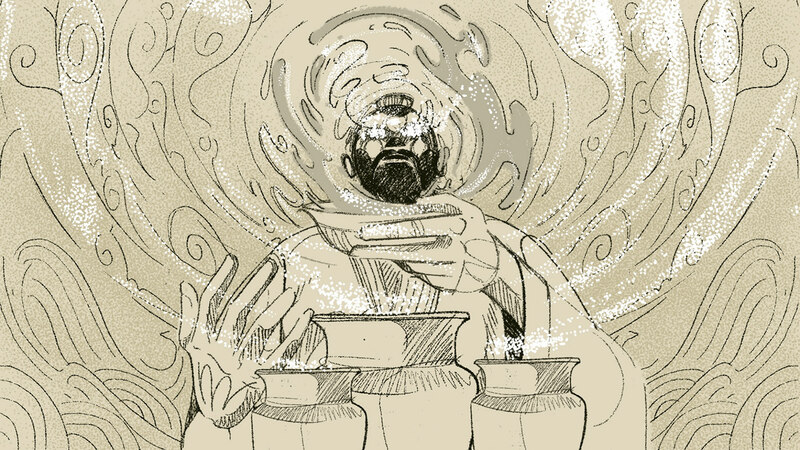 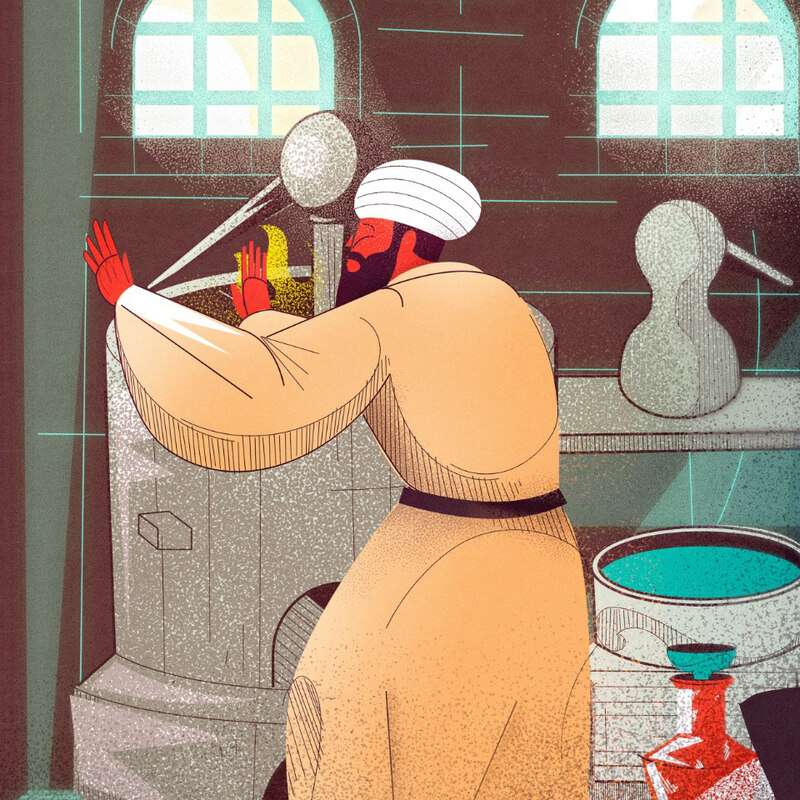 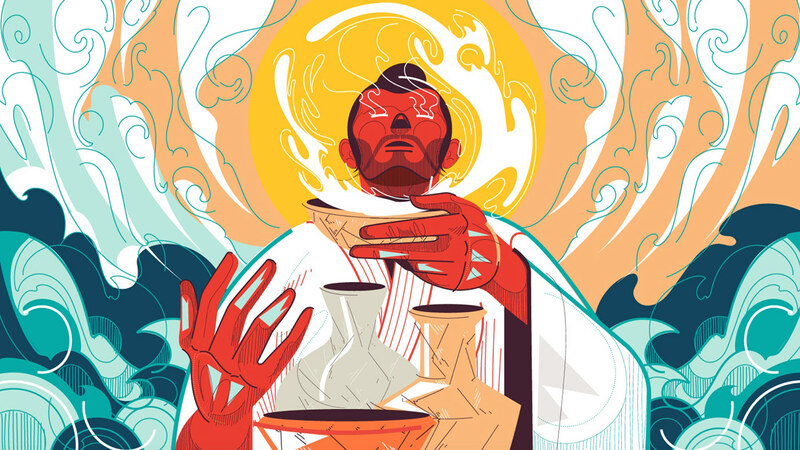 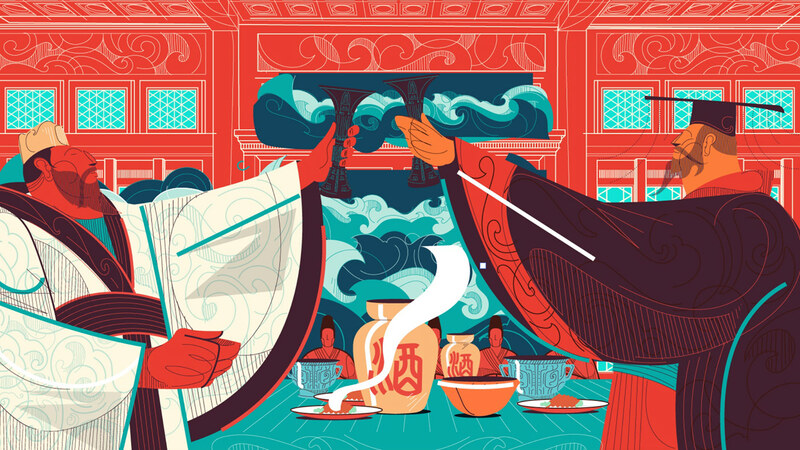 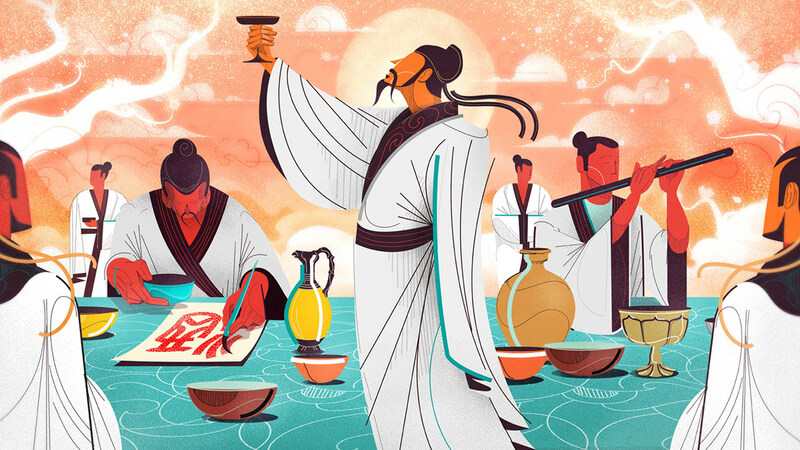 The production of the illustrations was based on the rich historical research around the subject conducted by Derek Sandhaus director of education and expert in the category Baijiu of MingRiver, also author of the book “Baijiu: The Essential Guide to Chinese Spirits”. 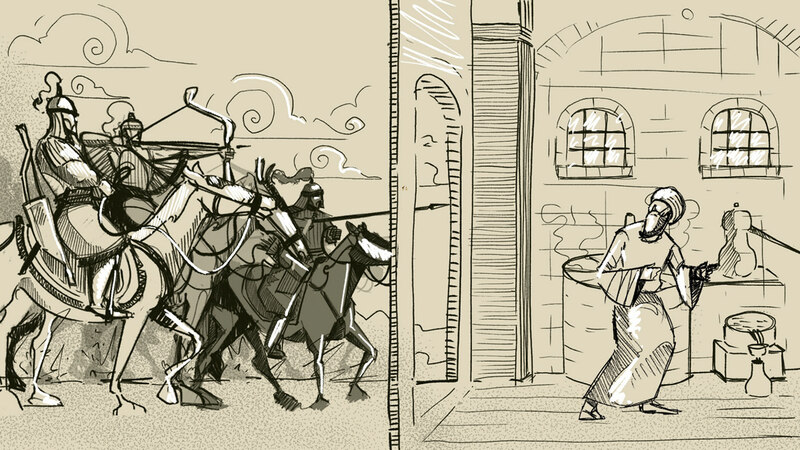 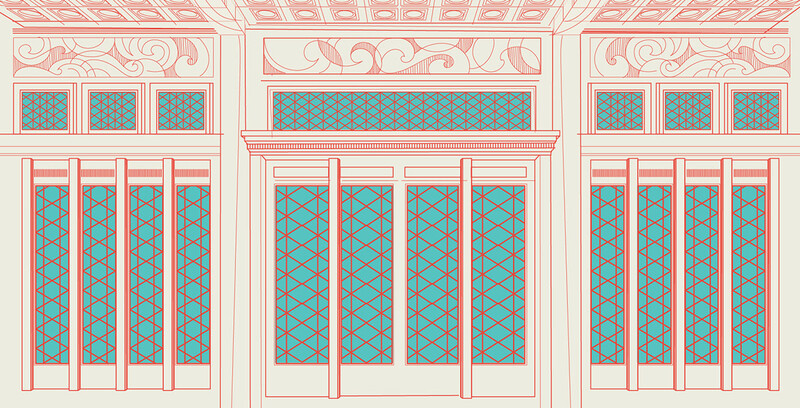 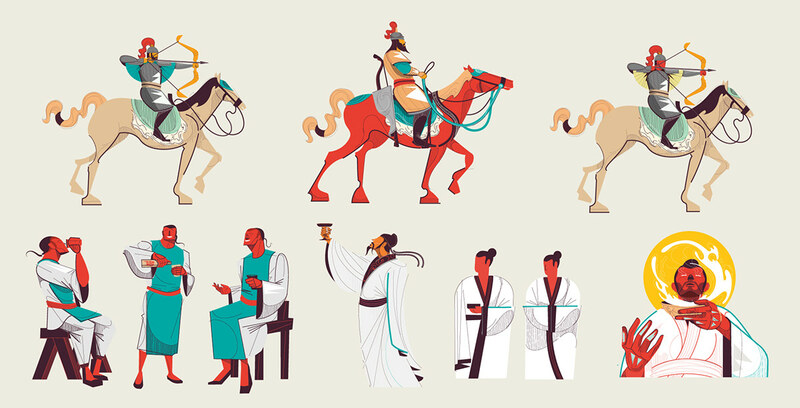 Below I show the final result of each one, from the first sketch, vector shapes and main details. 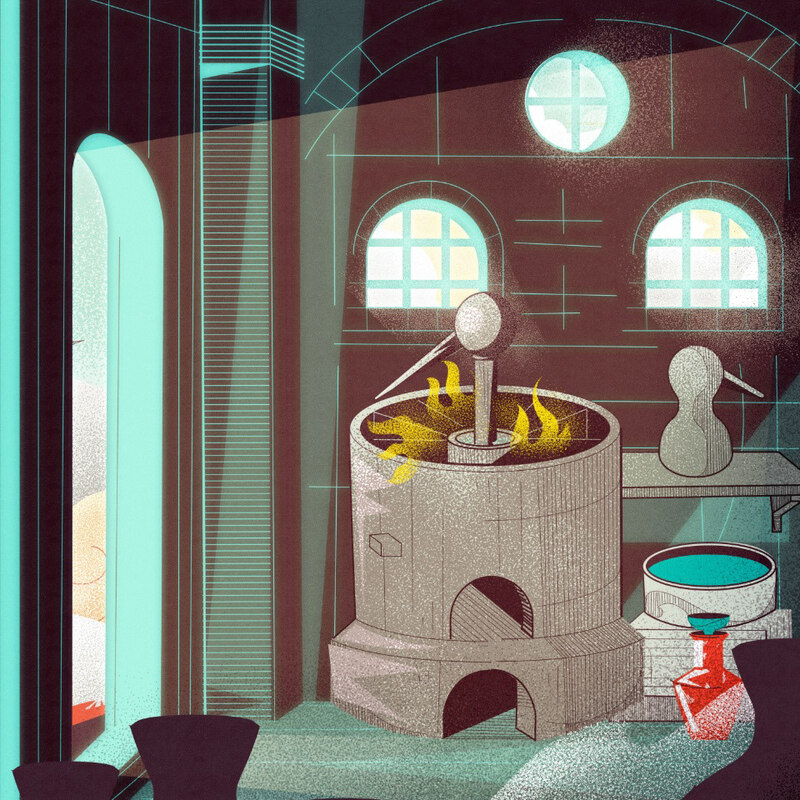 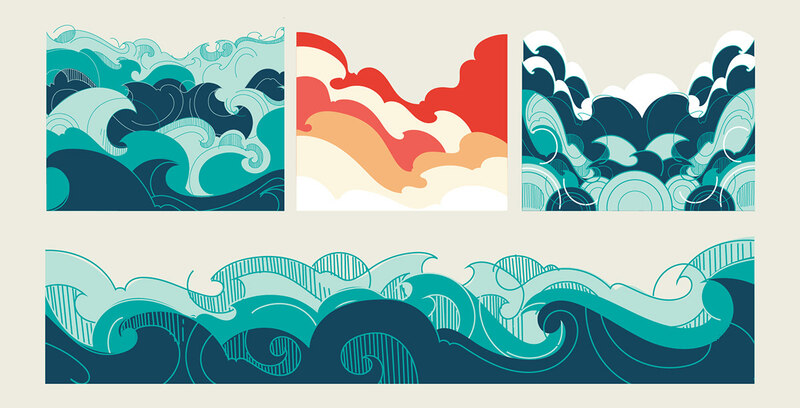 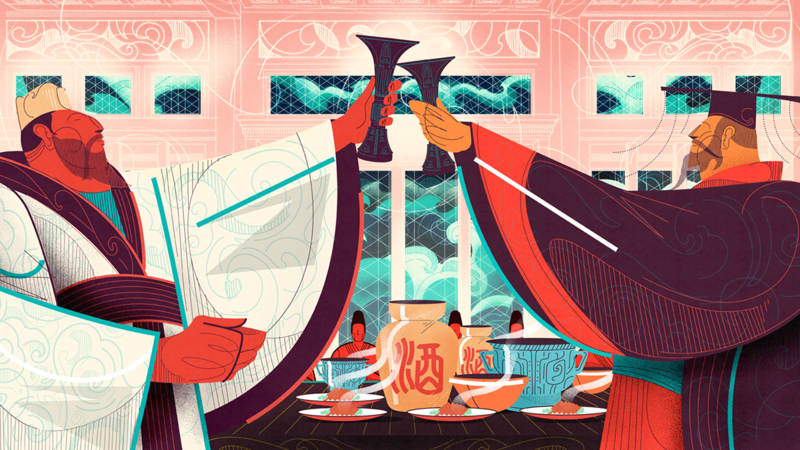 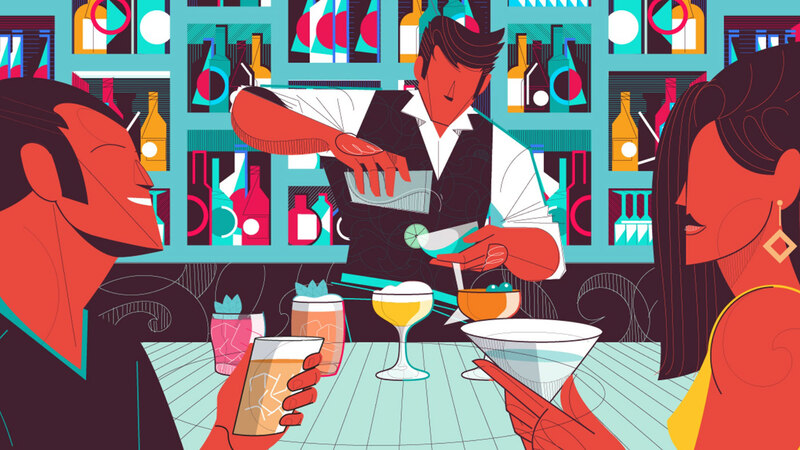 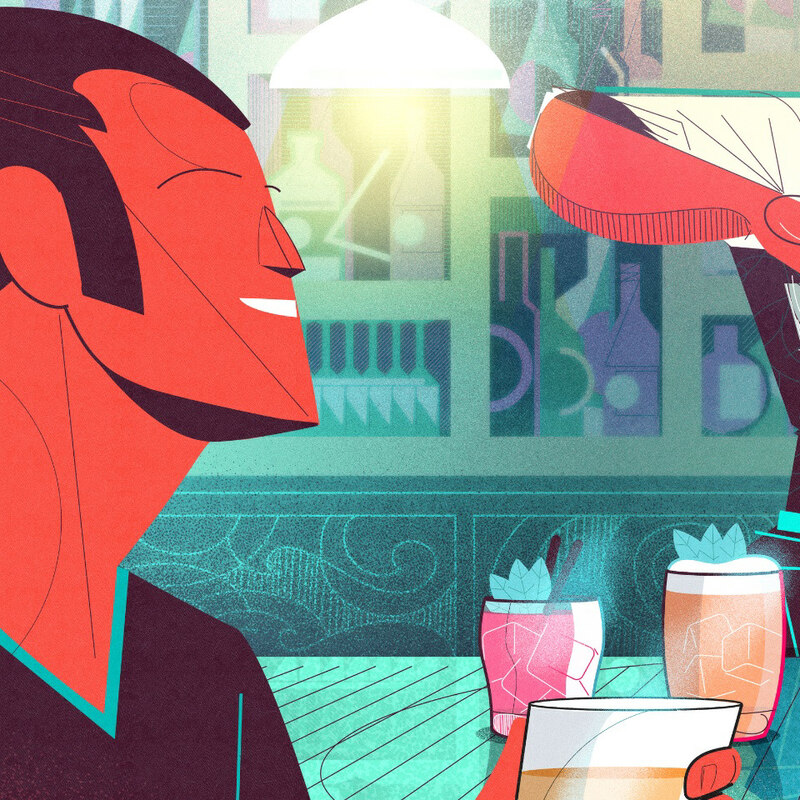 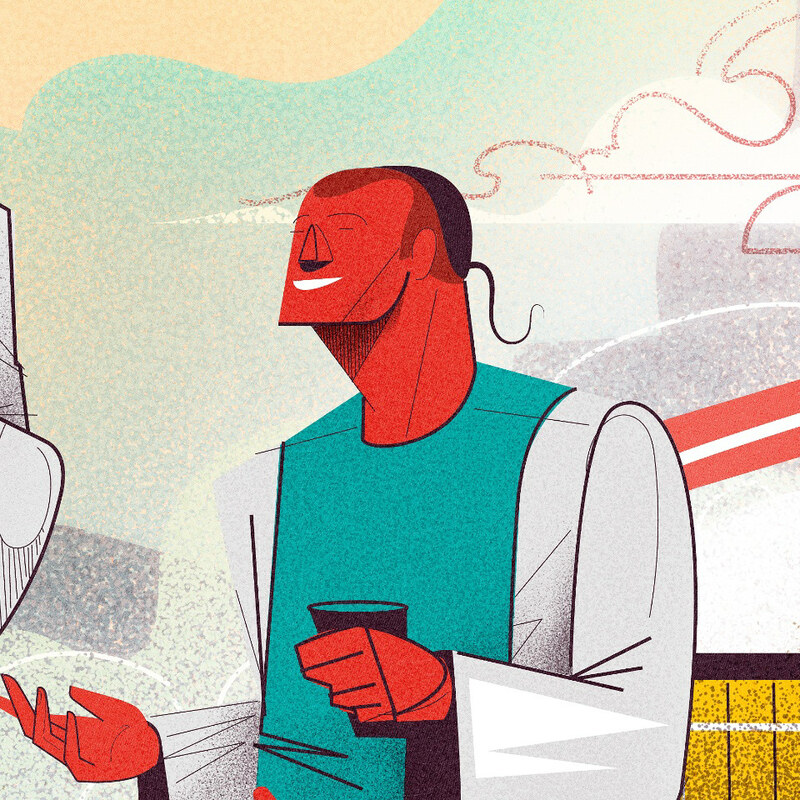 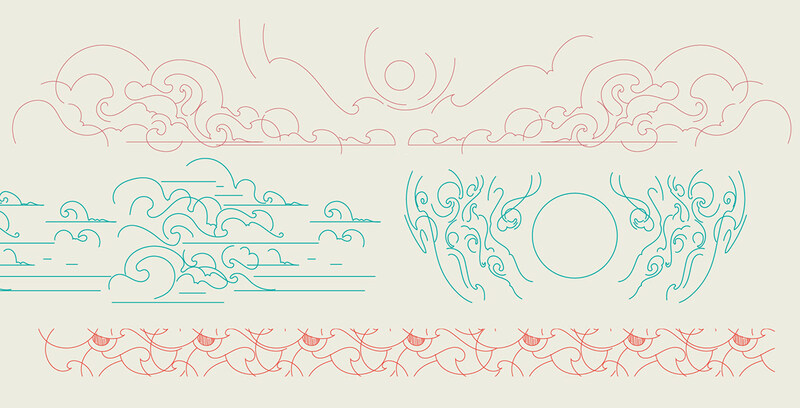 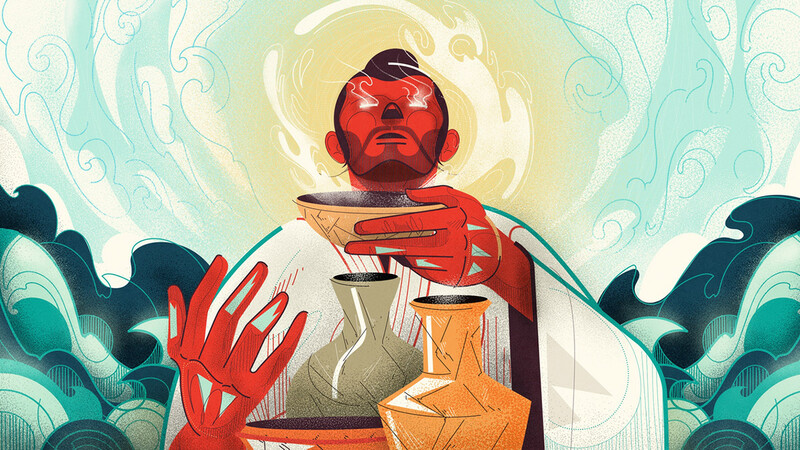 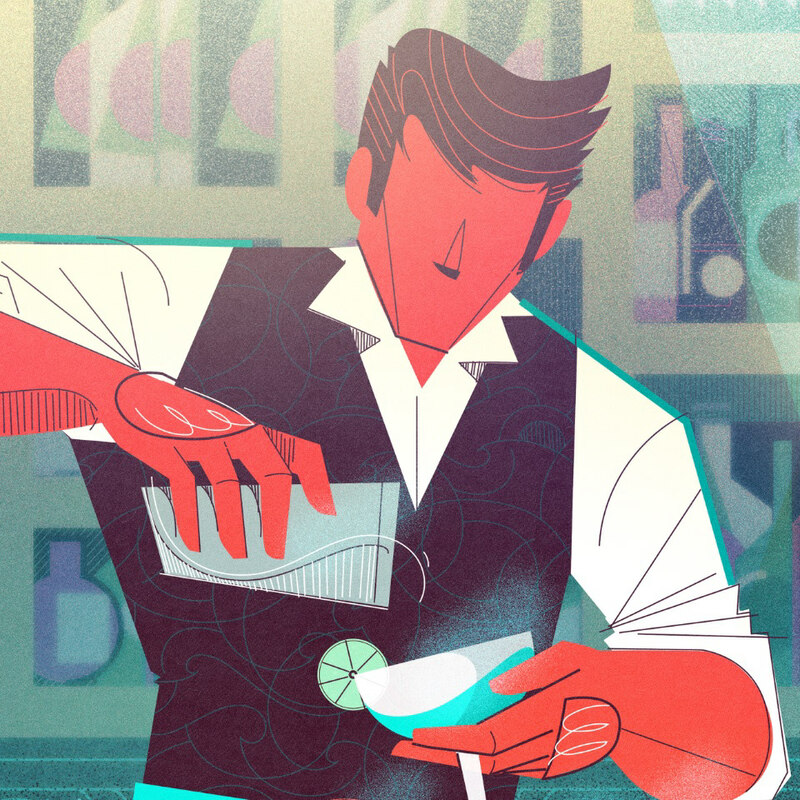 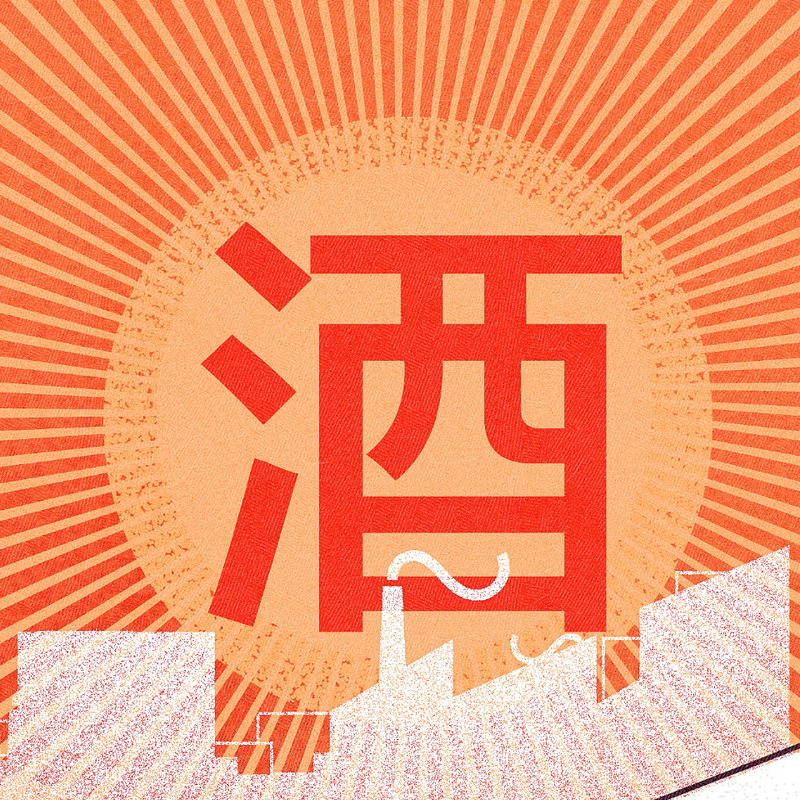 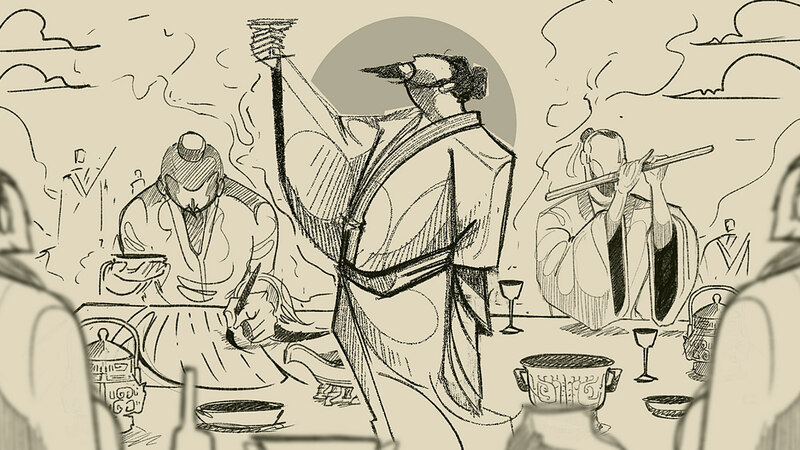 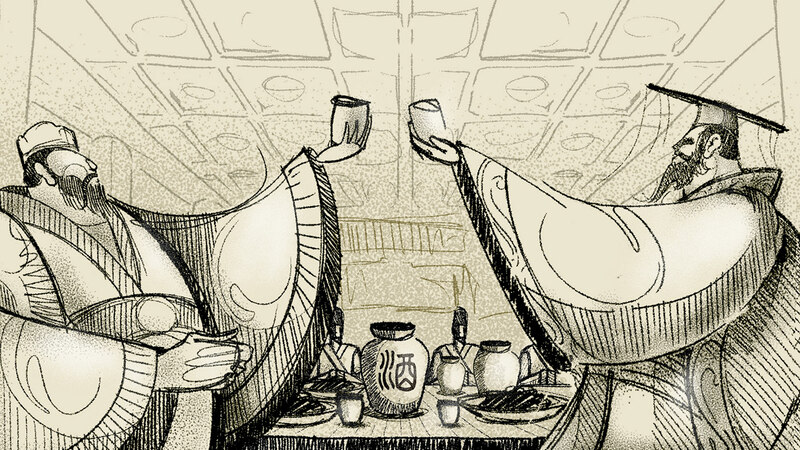 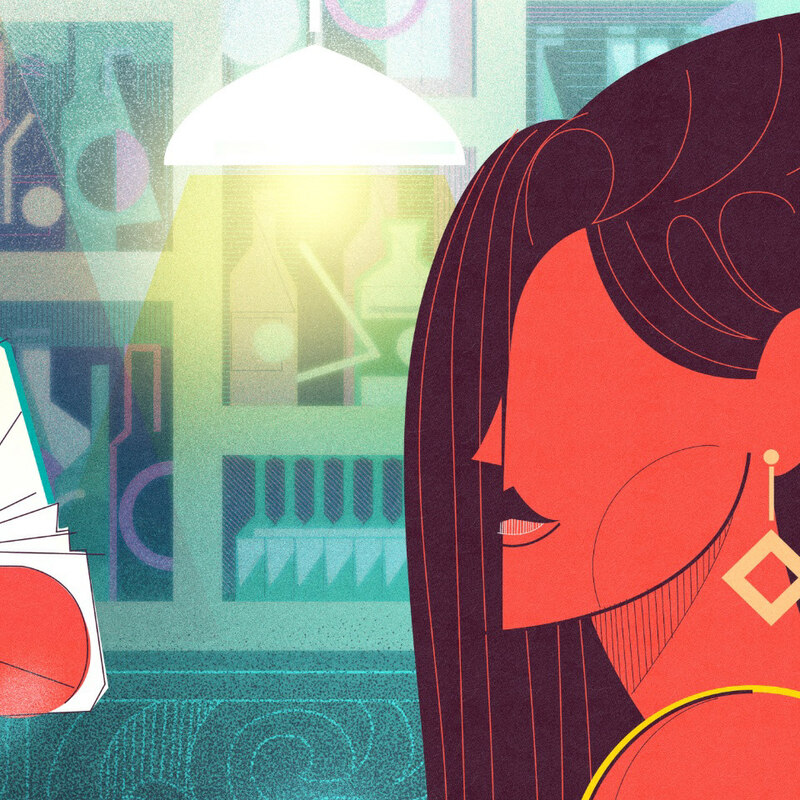 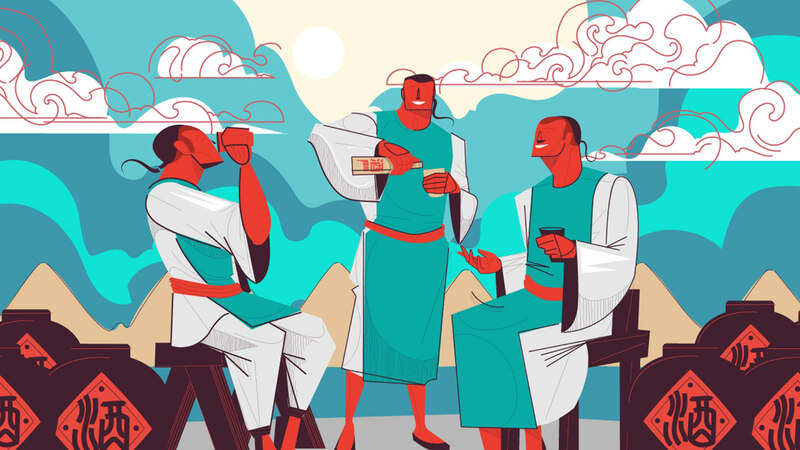 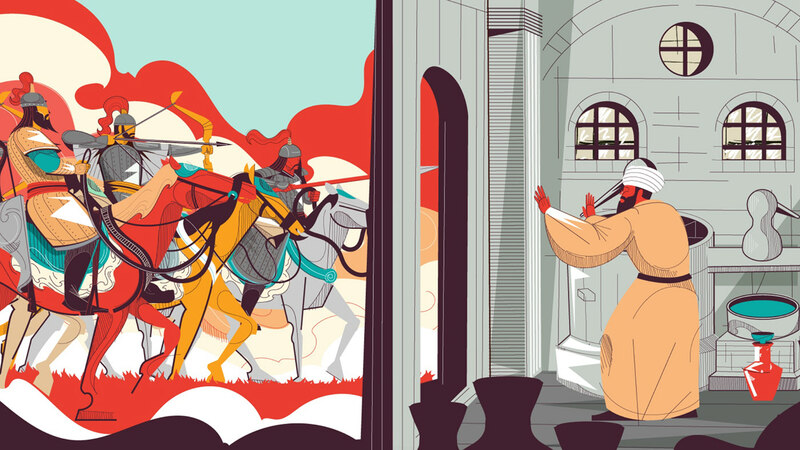 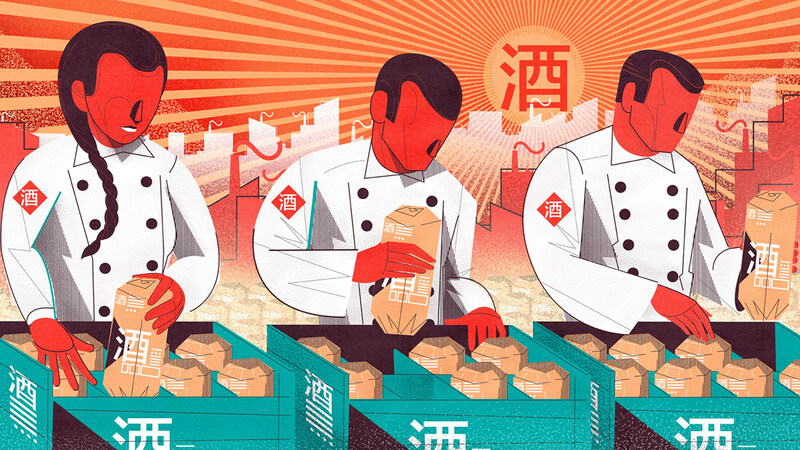 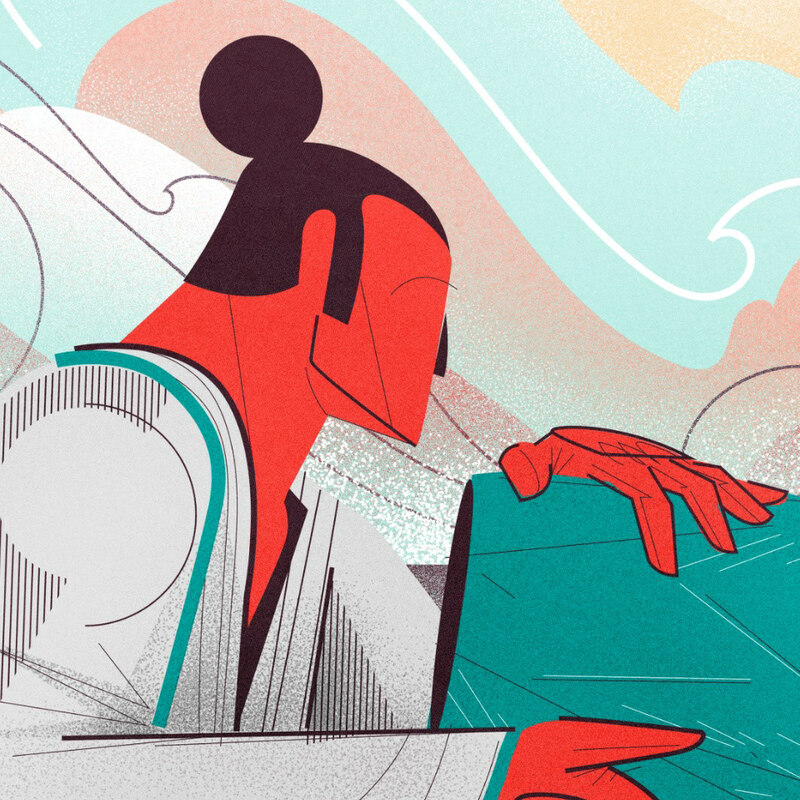 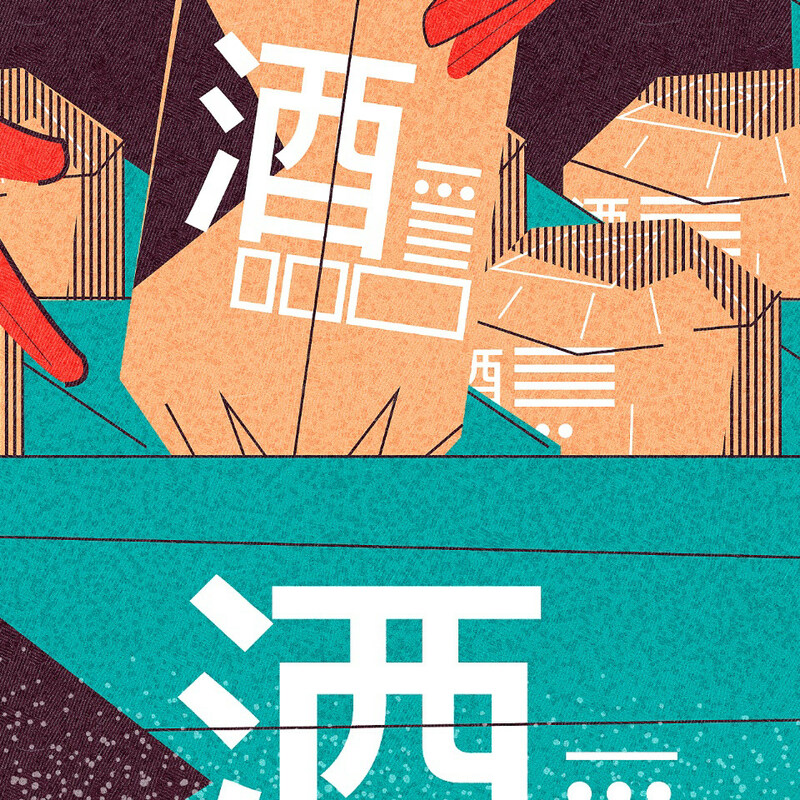 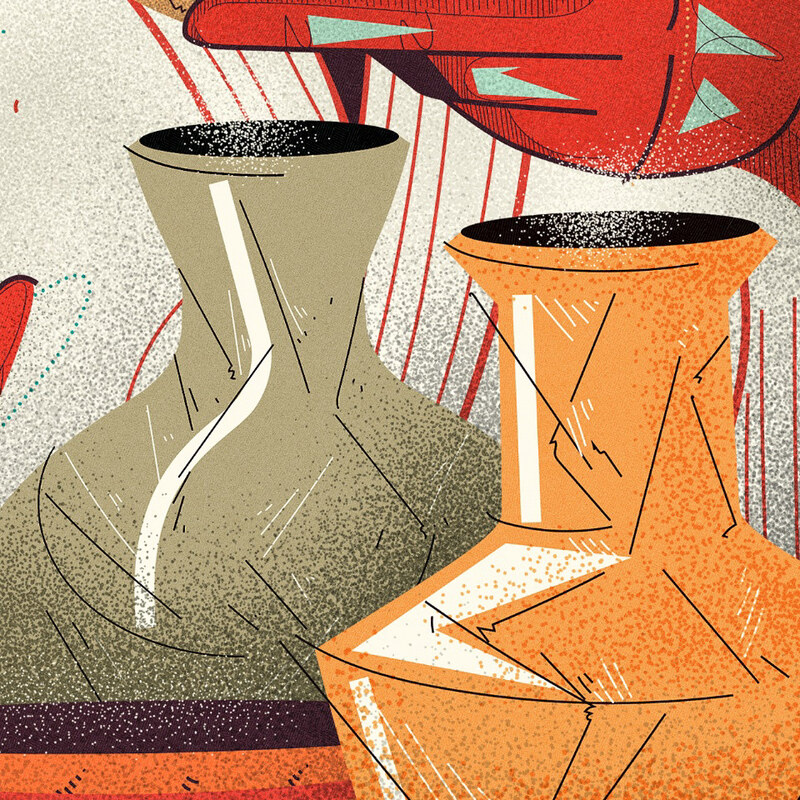 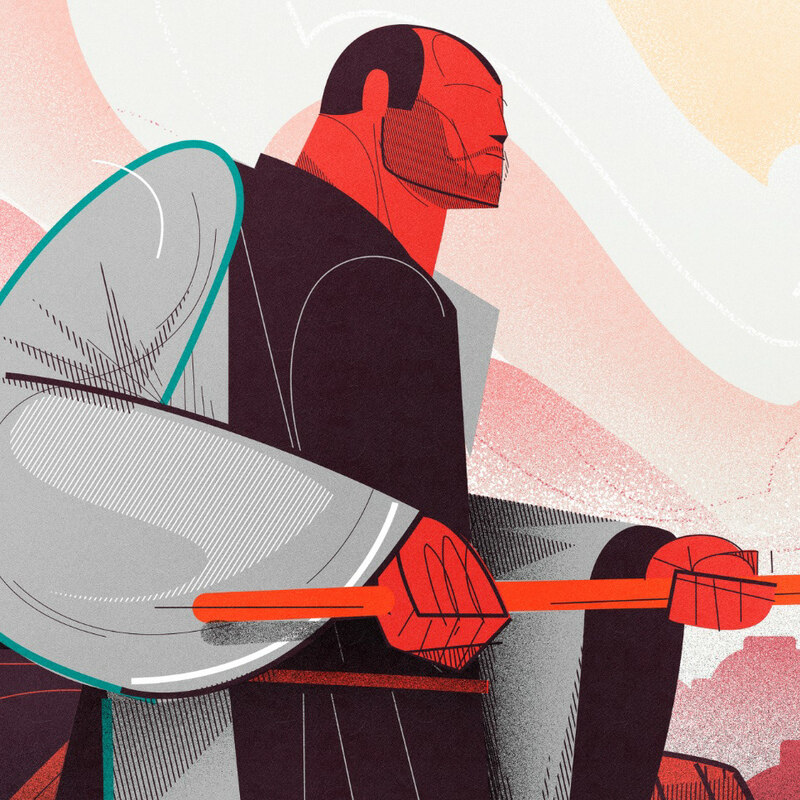 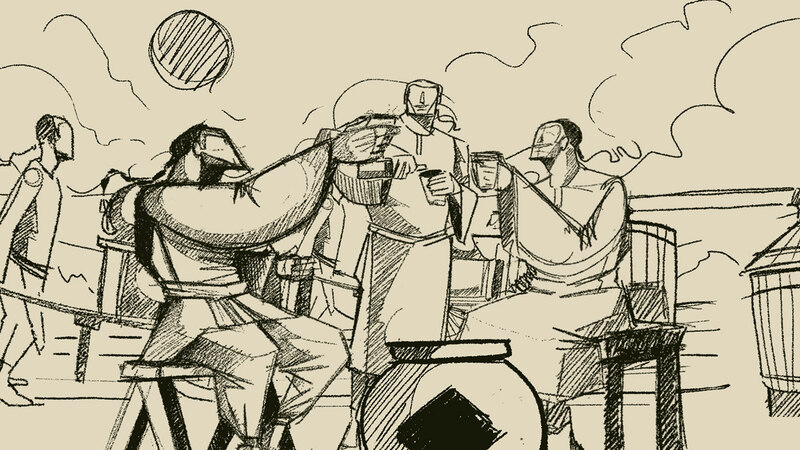 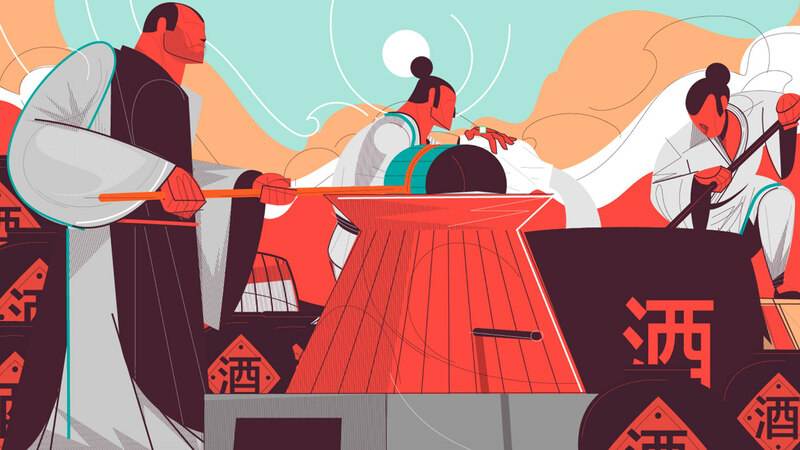 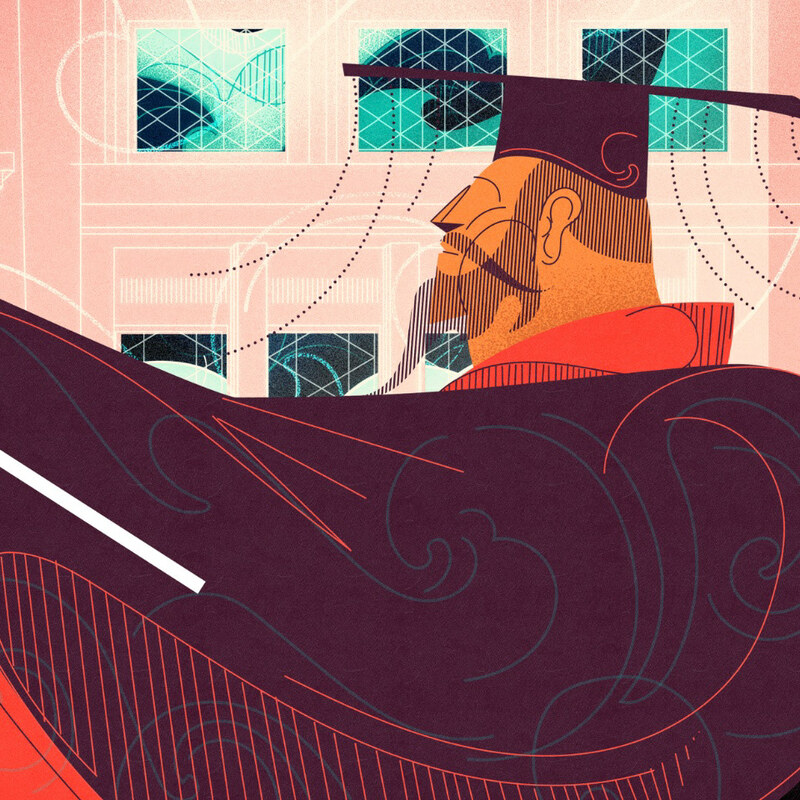 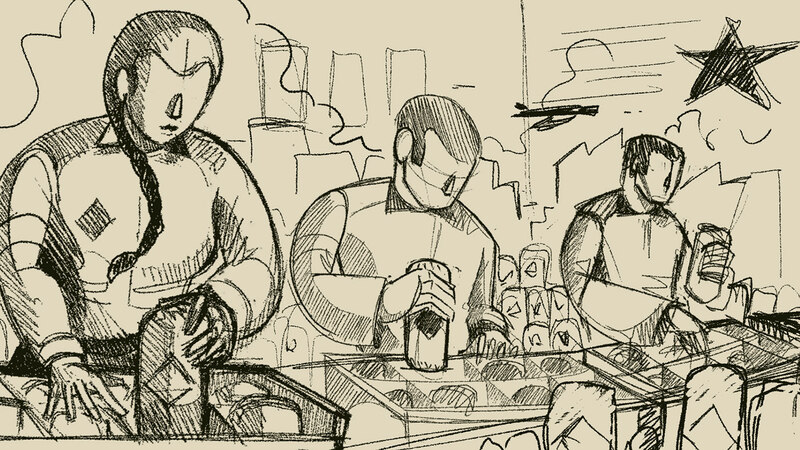 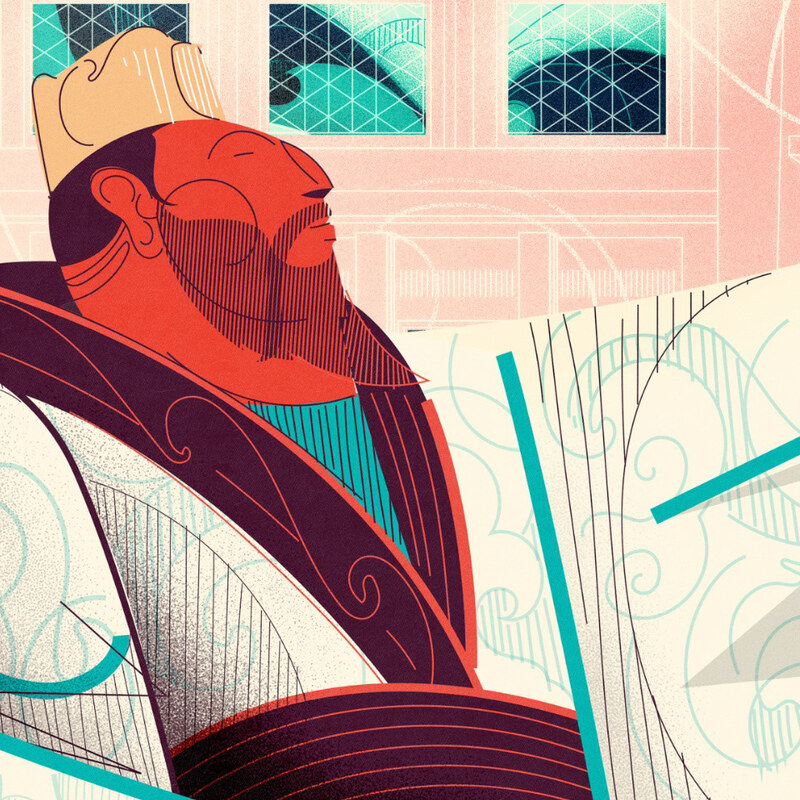 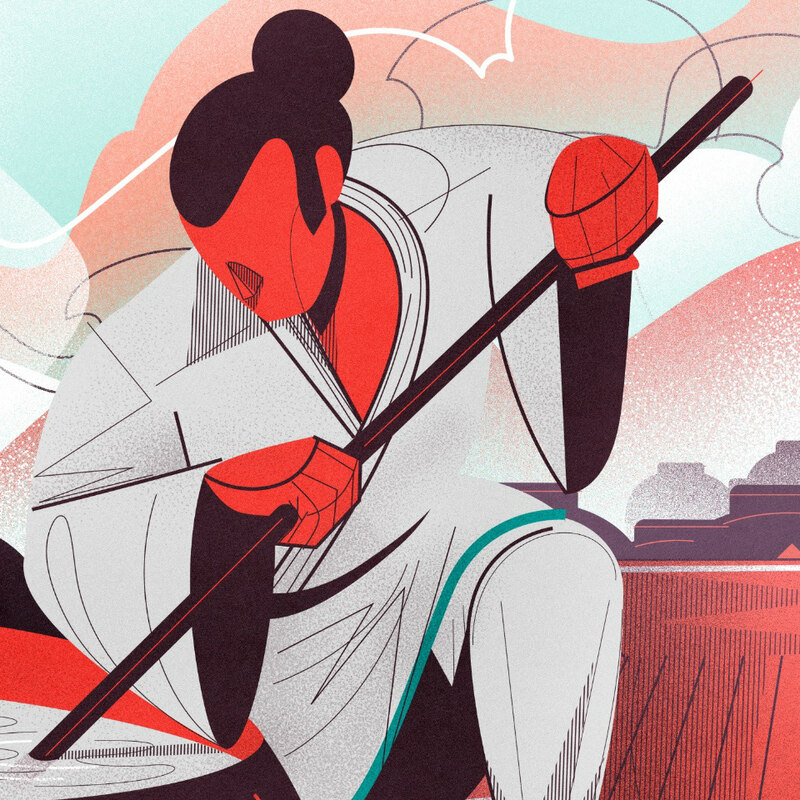 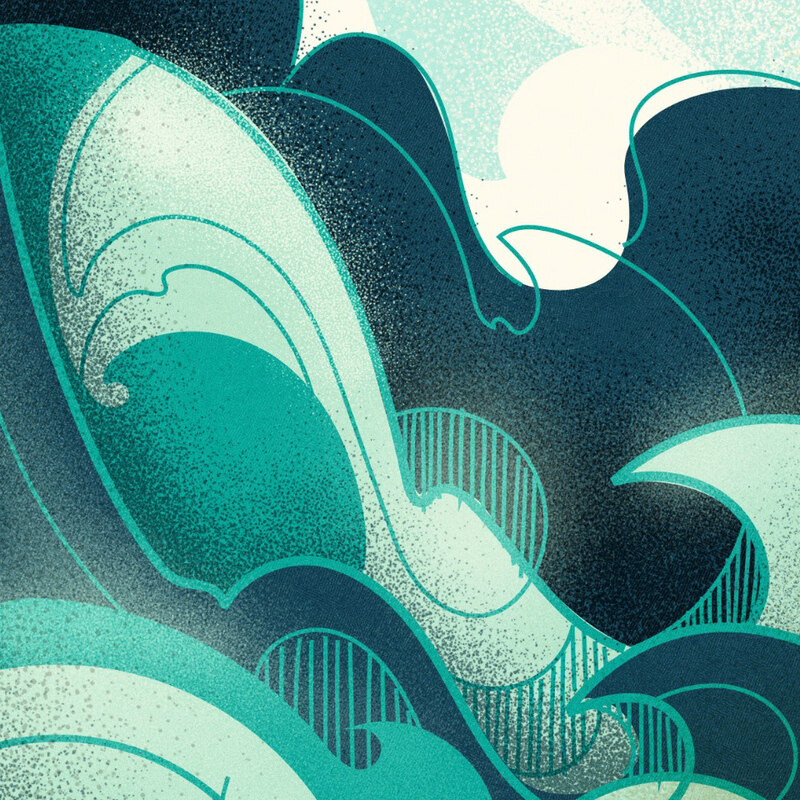 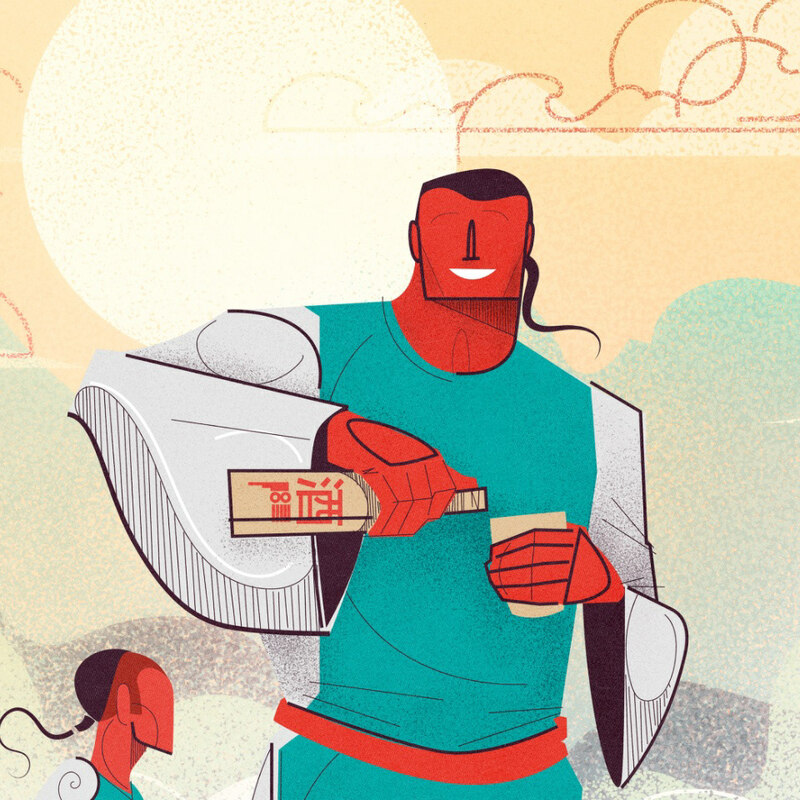 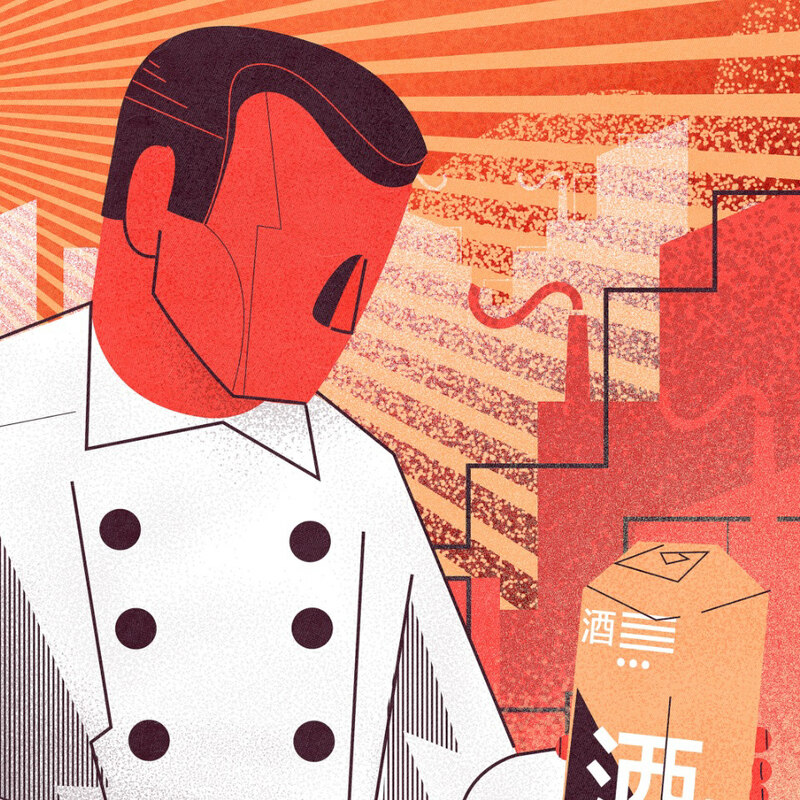 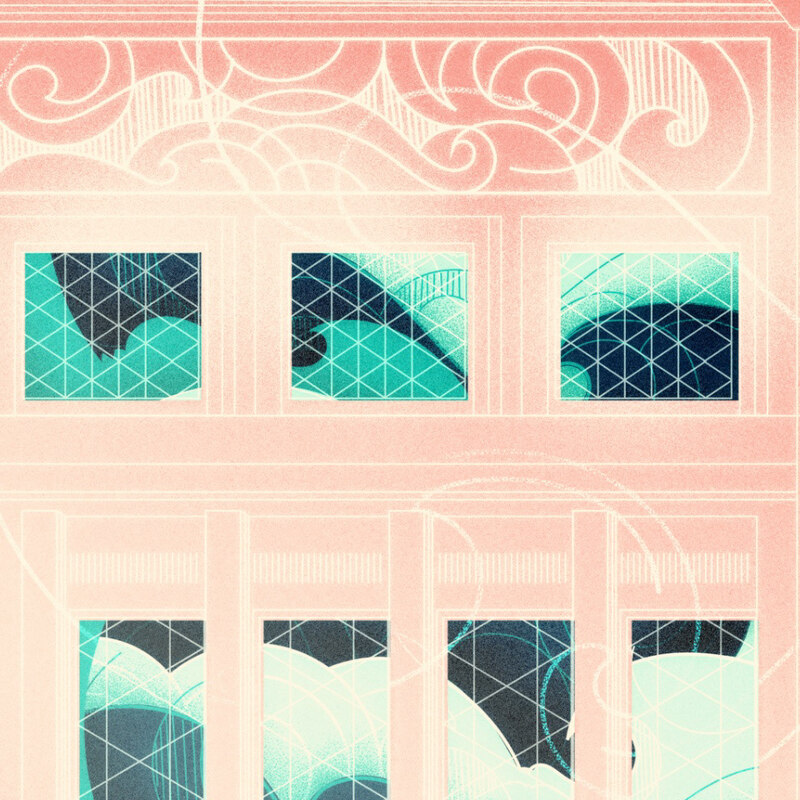 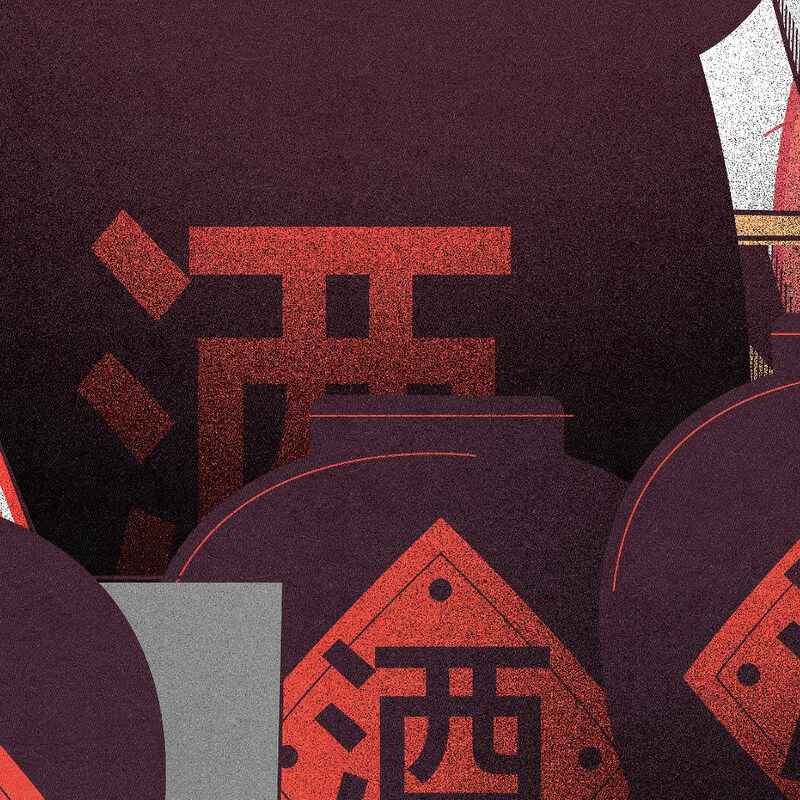 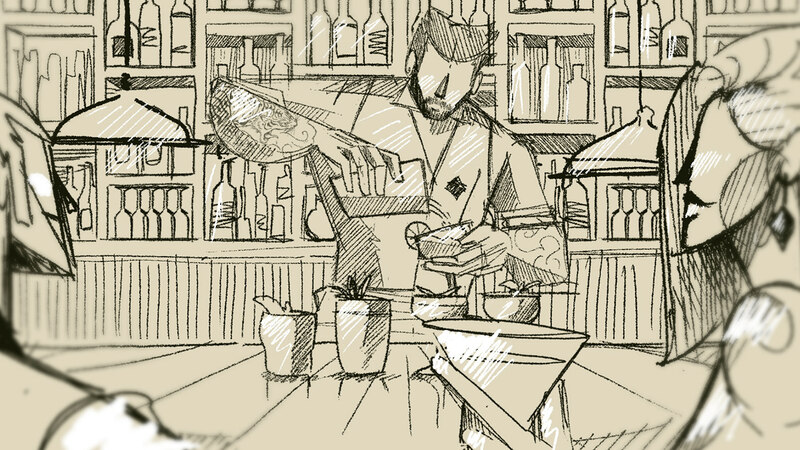 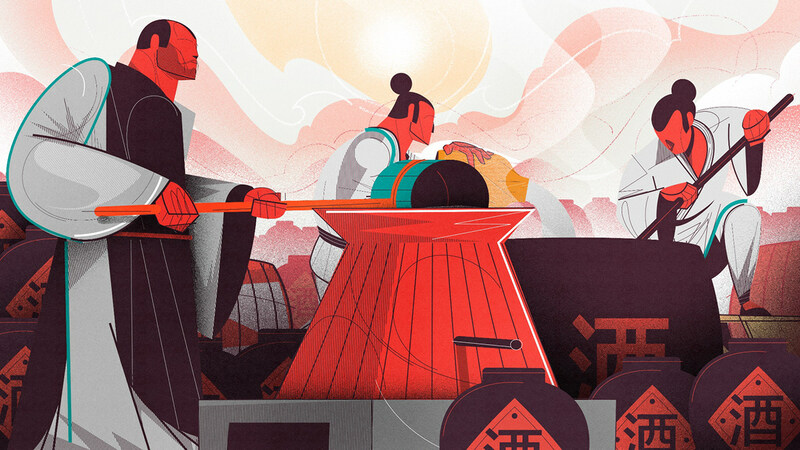 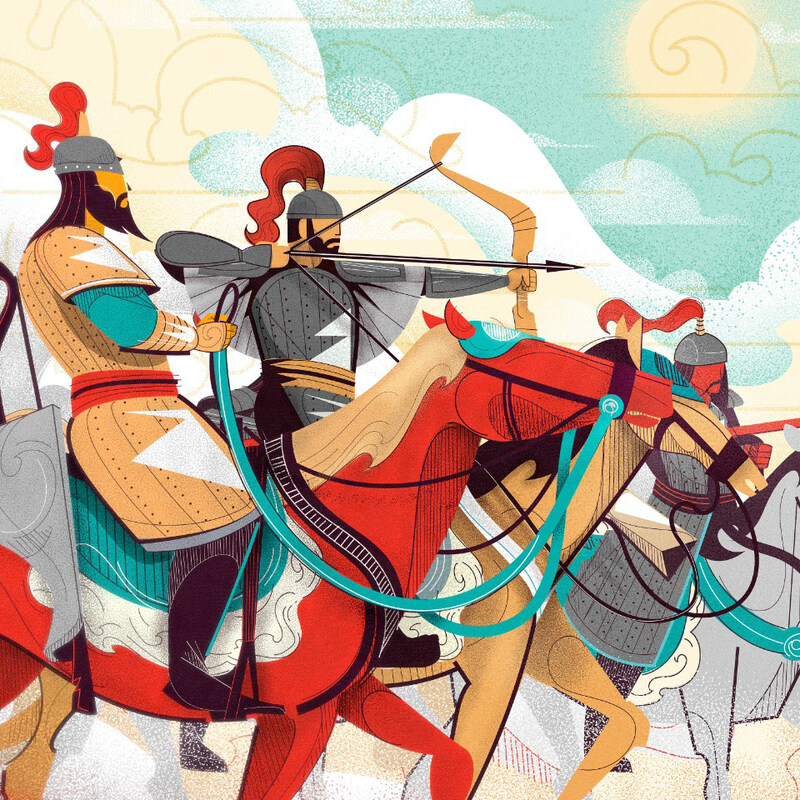 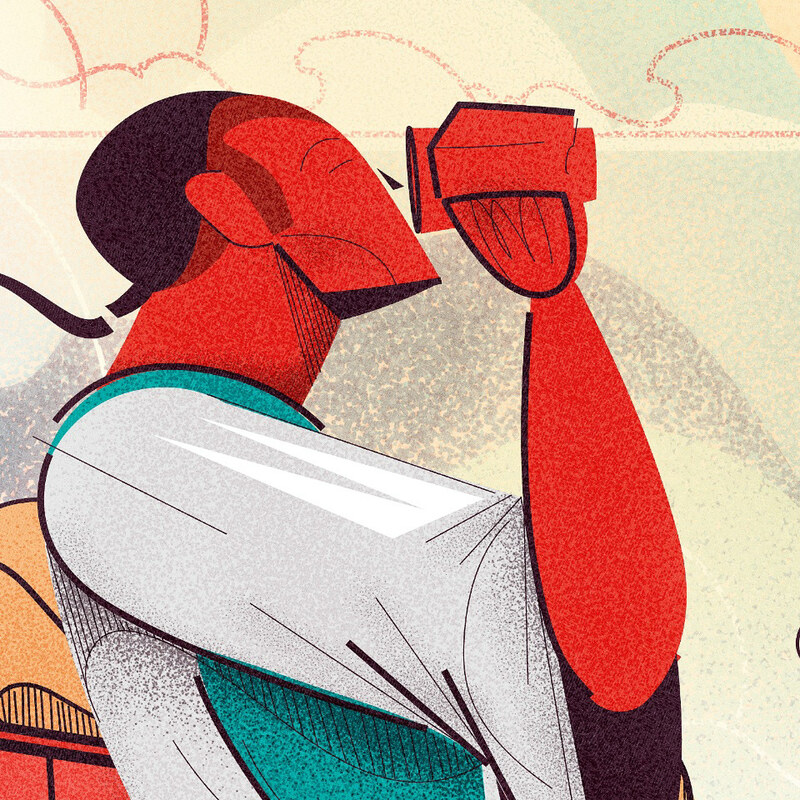 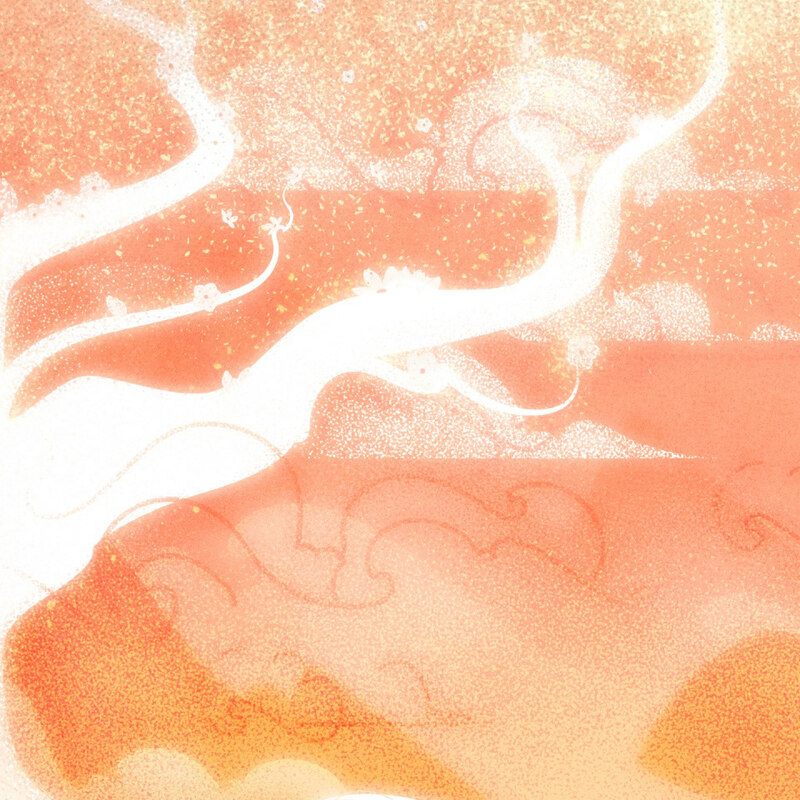 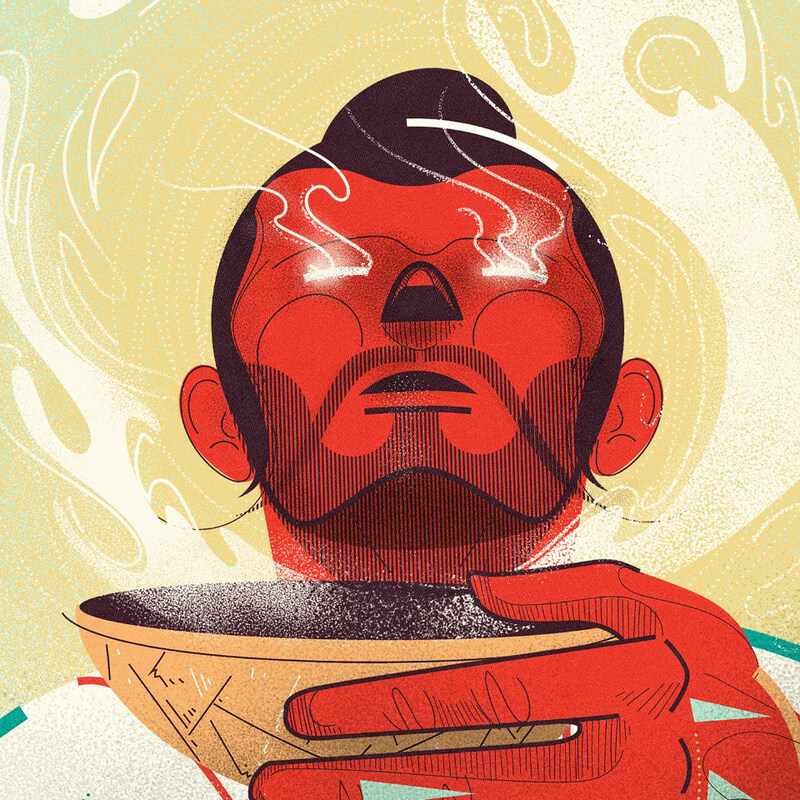 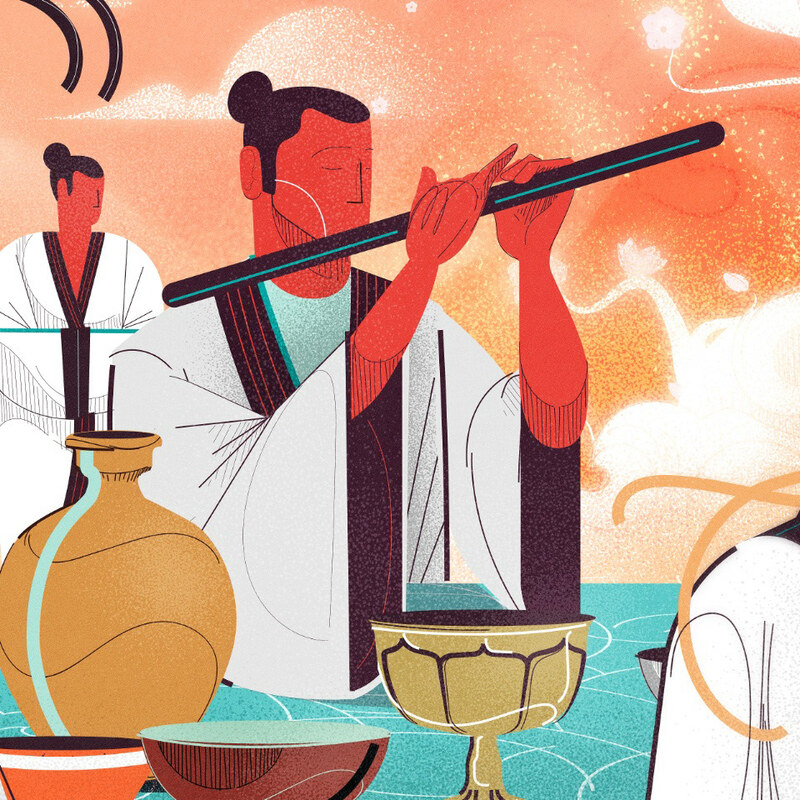 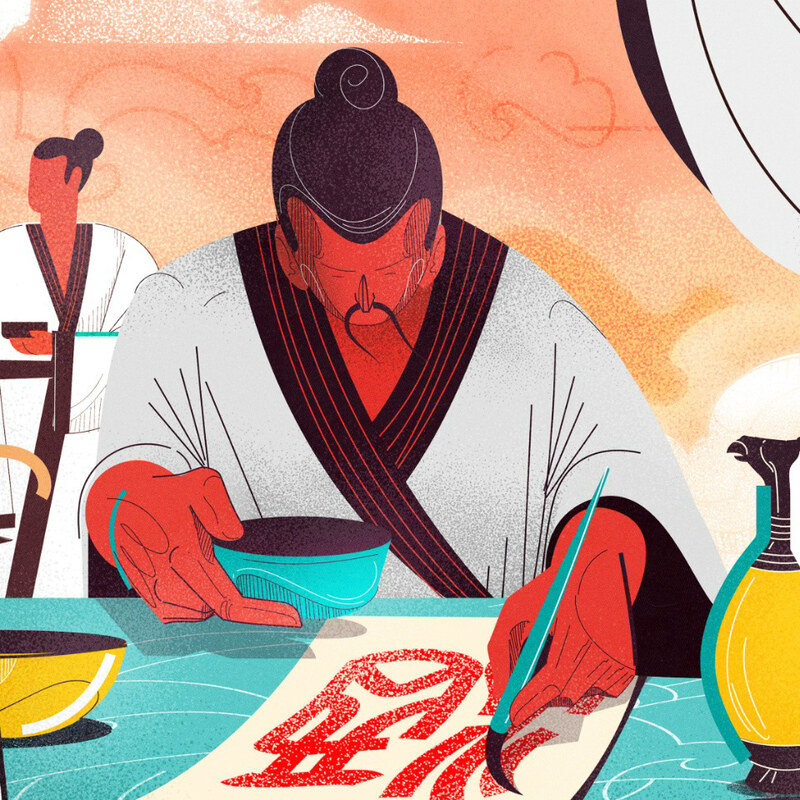 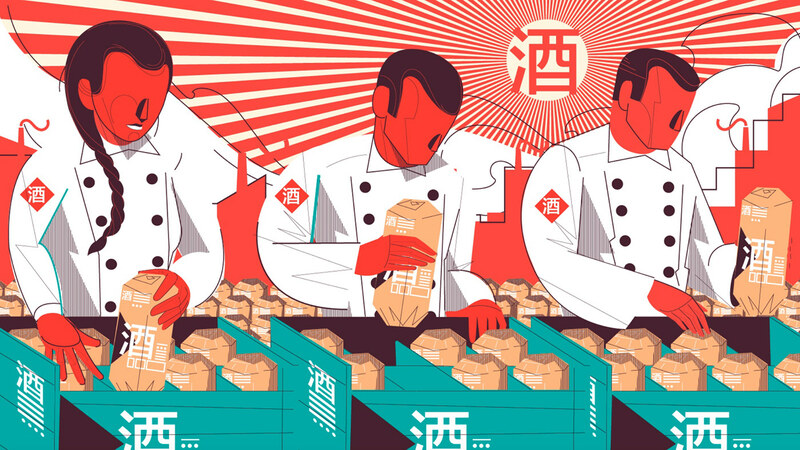 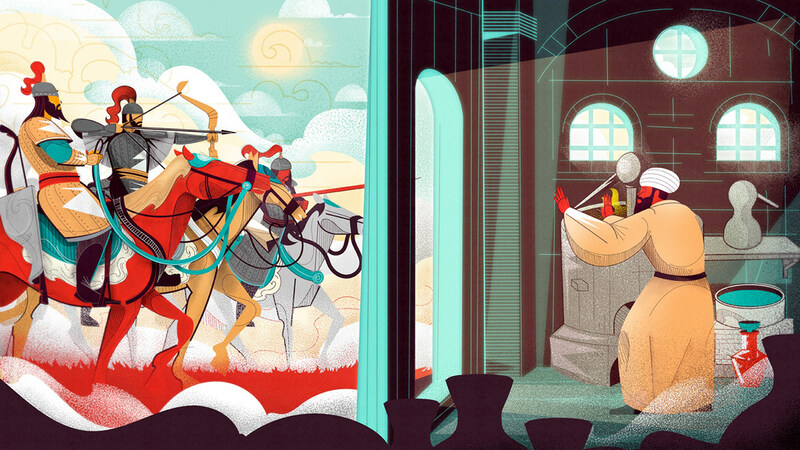 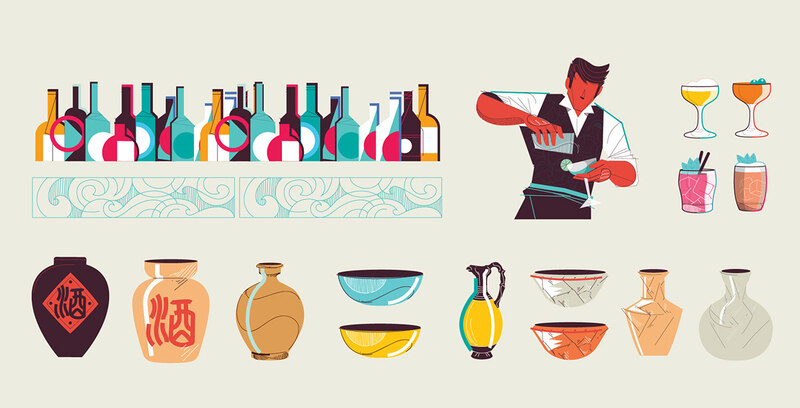 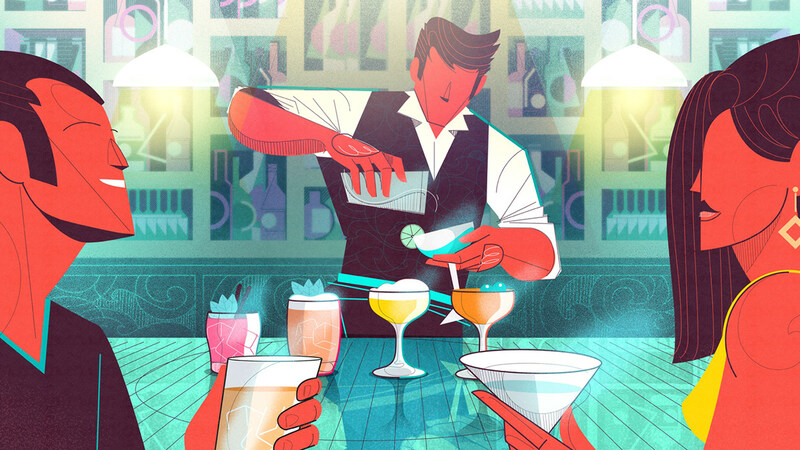 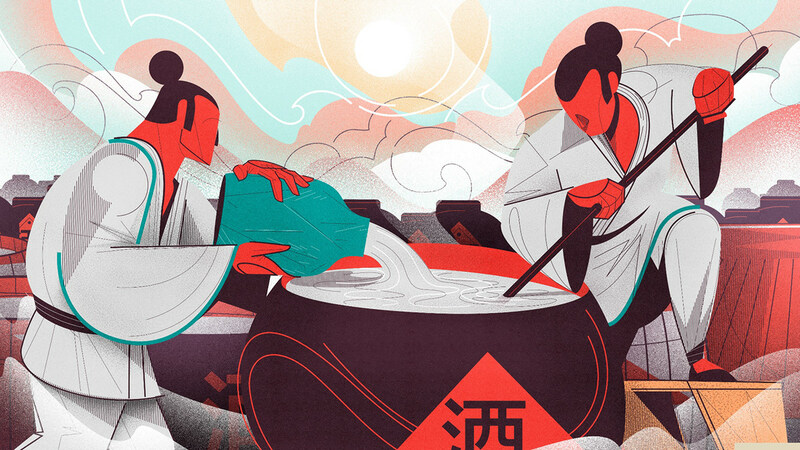 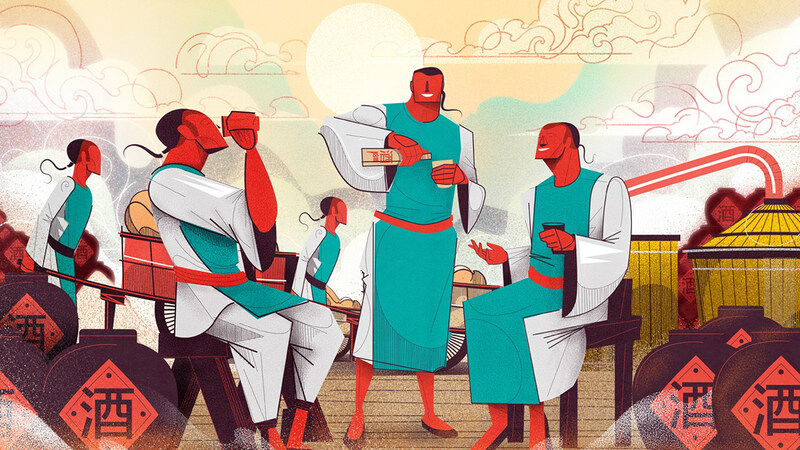 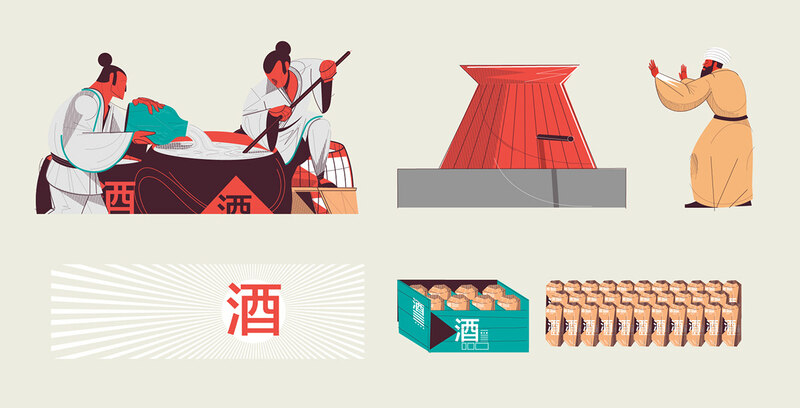 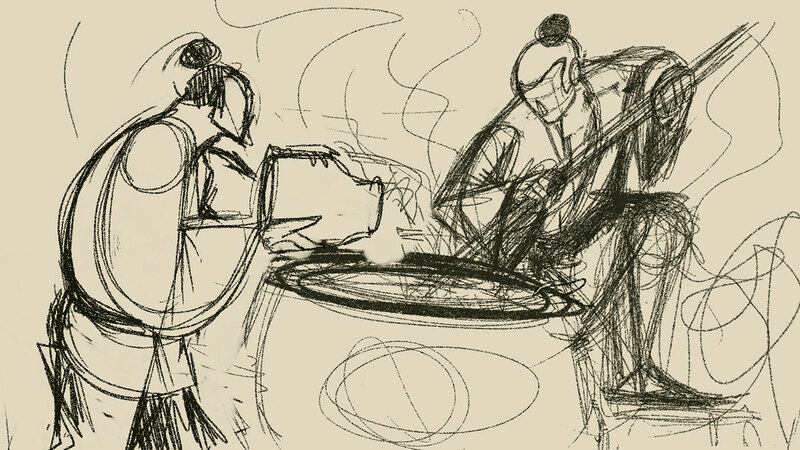 Series of illustrations made for the site DrinkBaijiu, from the Chinese distillery MingRiver.